NEW YORK — (BUSINESS WIRE) — October 9, 2015 — 2K and Firaxis Games today announced that Sid Meier’s Civilization®: Beyond Earth™ – Rising Tide, the expansion pack for 2014’s turn-based strategy title, Civilization: Beyond Earth, is now available for download on Windows PC. 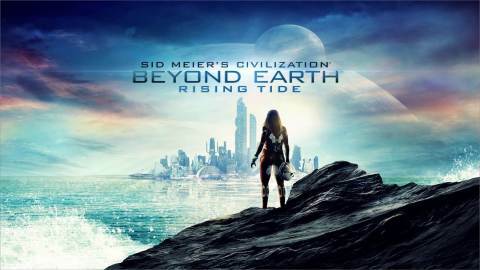 Created by Firaxis Games, Rising Tide enriches the Beyond Earth experience by offering a robust array of expansion content, with even more strategic ways to shape humanity’s future on an alien planet. Rising Tide is also available today for Mac and Linux through Aspyr Media. Rising Tide pushes the boundaries of Beyond Earth across new alien terrains and oceans while adding more choices and diplomatic options as players build “one more turn” toward a new vision for humanity’s future. New aquatic gameplay allows players to explore the seas for colonization by dramatically extending the play space, while an overhauled Diplomacy system provides them with additional layers of dynamic choices and options to shape the diplomatic landscape. Players can also discover an assortment of additional updates, including visually-and behaviorally-distinct aliens that are now unique to each biome, as well as enormous, powerful Marvels that appear as part of the planet terrain and offer new quests to embark upon. NEW BIOMES: Two new world types have been added: Primordial worlds are rife in volcanic activity and the chaotic landscape of a world still forming. Meanwhile, Frigid worlds have cooled in their great age, causing their surfaces to be covered by icy oceans and frozen tundra.